OK, this is a hard one, so please indulge me. When Farrah Fawcett died, when Michael, Tena Marie, Amy Winehouse, I took to the computer and posted columns about them here at the HuffingtonPost and elsewhere. But today? Today it's personal. My good friend Vesta Williams is gone and I simply can't believe it. We just spoke last week about her website; I registered VestaWilliams.com a long time ago for her since I was a little more web savvy. My nephew Jake McGrath designed her original site; much of which is there today. In fact, I just uploaded a new index page for her website, vestawilliams.com with the notice of her death. How on Earth is this possible? I met Vesta in 1988, 23 years ago, when she was signed to A&M Records and finishing her "4 U" Album. Her first, "Vesta" had the infectious single "Once Bitten, Twice Shy," the funky "Don't You Blow A Good Thing" and the slamming "Something About You." She was a singer's singer, literally. Many had called upon her for her talents. She performed on Sting's smash "We'll Be Together;" yes, it is her on the backgrounds wailing out "Together! We'll be together tonight!" Chaka Khan used her for background and vocal support both on record and on tour; an artist with whom V would often be compared. In fact, she sang with a who's who of R&B and later Jazz greats as well. Everyone in R&B knew or knew of Vesta and that voice. I wrote her bio for A&M for the "4 U" album and began working with her manager E.J. Jackson of Jackson Limousine in Los Angeles as a freelancer. I was writing at the time for the R&B Report Magazine in Burbank, an R&B Music Industry Trade Publication that would introduce me to some of the best friends and best music I would ever have or hear. Vesta was one of them. From the moment I interviewed her for the magazine I wanted to be involved in making that voice a success; in the world hearing her. When I left the magazine, I went to work for Vesta and E.J Jackson at Jackson/Jones Management, her management company at the time. Suddenly I was in her world every day in so many ways that we instantly became friends; a friendship that would last over 20 years. I was there at the meetings when E.J. would be fighting for Vesta's piece of the A&M pie for music videos or tour support at t time when Janet Jackson and Sting were taking a lot of the resources. It was through Vesta that I met Teena Clarke, who would go on to write one of Vesta's biggest hits, "Congratulations." Clarke is a little Southern White girl, not exactly the creative force behind one of the most soulful R&B ballads ever recorded one would expect and that's what made it beautiful. They had met through AdMusic, an agency that specializes in the music for the ad campaigns we all see on TV and hear on radio; jingles, little one minute songs. Vesta has sung endorsements for many a product, from Baskin Robbins to McDonald's, Nike and on down the line. "4 U" and "Congratulations" grew Vesta's stardom in the R&B world and her star began to shine. She would co-host on BET and her strong comedic sense became apparent. Her stage shows were two-thirds singing and one-third tell it like it is comedy and impersonations. Watching her do Tina Turner live was side splitting. We were once at the now defunct "Strand" in Redondo Beach, CA and her comedy became such a hit that show ran nearly three hours. She made guest appearances on many a show, and was a favorite of Arsenio Hall's. We'd often find ourselves in that green room. Her concerts always were sold out and celebrities often dropped by. Some literally; Wesley Snipes and she were wrestling once in her dressing room on the floor as we were about to do a meet and greet after a show in Los Angeles. Meet and greet's, how Vesta loved them. She loved meeting her audience. When she was larger, weighed more, she loved empowering the bigger ladies to look fierce. She always did. She wasn't afraid of her size when she was big, she knew she worked it. Privately, yes, she wanted to be thinner, healthier. She also knew what it took to compete, she found out the hard way. After the success of "4 U" Vesta began work on the "Special" album. I remember going to Harold and Bell's sea food restaurant on Jefferson in Los Angeles to celebrate the advance and ability to finally begin. That album would yield three singles, the title track "Special;" the duet with Jazz saxophonist Najee "I'll Be Good To You" and "Do Ya" a track my friend Michael Eckart would later go on to remix as a dance single. Vesta had been working not only on the album but on herself and her weight. Behind the scenes there were some tumultuous times; Vesta, like most artists, had her demons. Not all of her relationships were rosy, she was a single mom raising a daughter (Tandia) competing in the rough and tumble world of being on a major label. Label politics coupled with a personal relationship with her manager at the time often made for stressful times. But it all came together for the show. My late husband Andrew Howard and I came up with the idea for both the "Special" video and the "Do Ya" video. In the first, I thought it would be cool if Vesta did a Woody Allen, being in a fabulous B&W movie on screen in one situation, and then walking out of the screen in to the real world in living color. For "Do Ya" we had written a more contemporary storyline, with Vesta at the Hollywood Bowl as it desconstructs around her. "Special" was shot in Los Angeles/Silverlake area and "Do Ya" was shot in New York City, directed by a young Paris Barclay and featured Slam, the dancer who had just created a huge stir in the Madonna "Vogue" video. It was big budgets, and big risks. Vesta was competing at the highest of levels for success in R&B and was making it. Yet, she never fully caught on and crossed in to Pop like so many do. Was it her weight? Was it that her voice was so big? Was it material? Promotional budgets or lack thereof..what? How many times she, and those around her, would ask those questions. Here was a fiercely talented, vivacious woman, a beautiful woman no matter her size, once that could SING. She had adoring fans world wide, yet that next level was always just around the corner. "Special" did well enough to get Vesta another on A&M "Everything-n-More" and also opened up Vesta to the world of Jazz again via the duet with Najee. "Everything-n-More" would be her last album for A&M. I left before that album dropped, but remained her good friend. 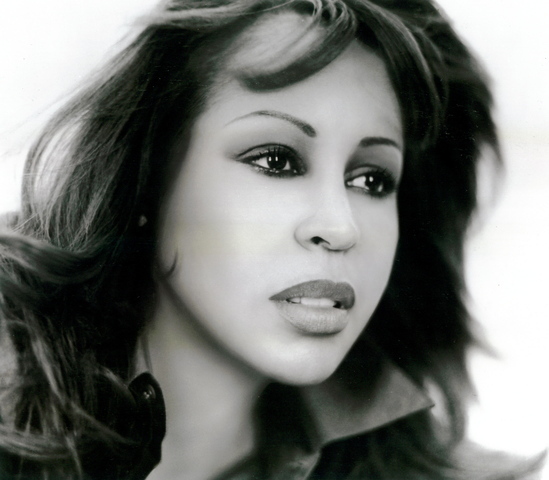 She went on to Polygram in 1998 for the album "Relationships" and then Shananchie for 2007's "Distant Lover." That would be her last commercially released album; although, she was working on a new album and a first single had already dropped with a video this year, in 2011. She was always flying off to do a track, working with a producer back East. In much of the new century Vesta spent her time at Jazz festivals performing with many Jazz greats as well as at R&B Jams and live music clubs. She also continued trying her hand at acting and comedy, and even did a stint in major market radio. She was good at so much of what she did. She wasn't just a powerhouse voice, she was a charismatic woman, a vibrant, alive creation with a laugh...oh, that laugh. Anyone lucky enough to have heard it knows what I mean. It was a heartfelt, infectious laugh from the heart, from the soul. Like all that she did. She came to my home for a filming in 2008 of a pilot I was doing called "The Food Group." I needed someone to round out the guest list and as always, she was there for me, being a friend, being a Diva. My Diva. And that laugh was heard a lot that night. She was in a great mood. She was optimistic about her future. The Vesta I know is the woman I talked to from the pay phone at the Frat House gay bar in Garden Grove, CA for hours because I was bored inside and would ring her up. She's the woman who nicknamed my late husband Andrew "Pinky" because he "was so white, he's pink..." She named him this right after we had picked him up in her limo. She had just sung the National Anthem at the Laker Game and I was with her. Andrew didn't want to go, so we picked him up afterwards so they could meet. He got in the car and shook her hand, and asked if her jewels were real (they were). She laughed, he didn't get it, I laughed, suddenly it was fun and she called him Pinky. It stuck. She's the mom worried about her daughter, and later, her grandchildren. She's the woman in the shower getting ready belting out a song with me as I wait outside the door chatting with her about this or that as she prepared. She's the woman backstage at Soul Train busting up on the floor with me because their in room food service was all KFC and she was going to be damned if she was going to mess up her face with KFC but damn it smelled good! She was my friend who happened to have an incredible voice. She was potential unrealized. Vesta was happy but not satisfied. She wanted more. She wanted more hit records, more tours, more albums. She wasn't done. And that's why I'm crying now and have been all day. My friend V wasn't done yet. She wanted to see her grandchildren grow up. She wanted to record, to act, to sing and dance and be herself again and still. She had so much more to give. I won't care what the results say you died from V, I will only care that you're gone. I will miss my friend first and the music second because you may have started in my life as a voice on a CD but became so much more. Vesta Williams was one of the greatest singers in R&B and music, period. And I was lucky enough to call her a friend. Her voice is now silenced but her drive and passion live on forever in her music and videos.